A previously reported armed and dangerous suspect wanted by the Kingsport Police Department is now in custody. On December 15, 2017 at approximately 6:30 PM, Jonathan J. Ryans was arrested at 305 Darlington Drive in Sullivan County, just outside the city limits of Kingsport. His arrest on the outstanding K.P.D. warrant was cooperatively facilitated by the United States Marshals Service and the Sullivan County Sheriff’s Office. K.P.D. would like to thank both of these law enforcement agencies for their assistance in bringing this offender to justice. Mr. Ryans is currently incarcerated in the Sullivan County Jail in Blountville where he will remain at least until his arraignment. His bond on the outstanding K.P.D. warrant was preset at $150,000 by the presiding judge. He also faces felony charges in Bristol, TN for Aggravated Assault as well as the possibility of pending additional charges incurred at the time of his arrest. The Kingsport Police Department is requesting assistance from the public in locating a suspect involved in a recent shooting incident. On November 20, 2017 at approximately 11:00 PM, Kingsport Police Patrol Officers responded to a report of multiple shots fired in the area of Cloud Apartments in Kingsport. Multiple eye witnesses reported that Jonathan J. Ryans had just discharged a firearm three times with complete disregard for the densely populated surroundings, placing multiple bystanders at risk of serious injury or death. Upon arrival, officers located three 9mm shell casings near the intersection of Reedy Place and Nelson Street; however, Mr. Ryans had already fled the area. After further investigation by the K.P.D. Criminal Investigations Division, Detectives ultimately obtained a warrant charging Mr. Ryans with Felony Reckless Endangerment. 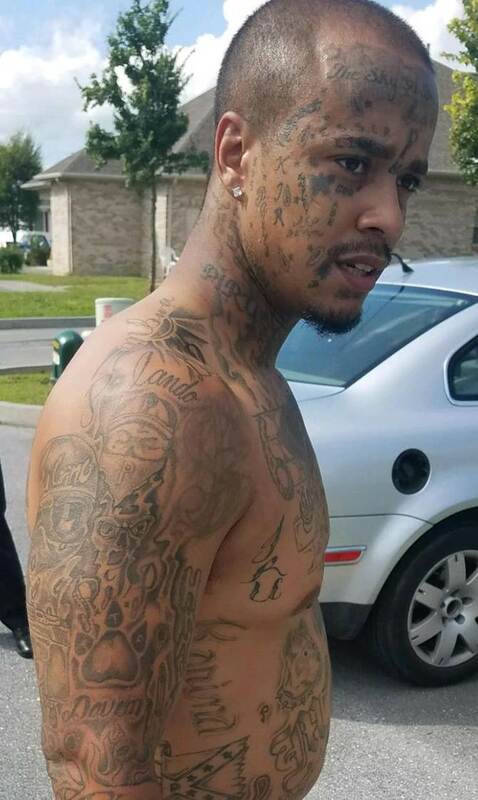 He is also wanted for Aggravated Assault, in connection with an unrelated incident that occurred in Bristol, Tennessee. Detectives have received reliable information to lead them to believe that Mr. Ryans is still in possession of one or more firearms. He should be considered armed and extremely dangerous and should not be approached. A recent photograph and detailed description of Mr. Ryans is included in this release. Detectives are requesting that anyone who sees him, or knows his possible current whereabouts, to contact them as soon as possible at 423-229-9429 or call Kingsport Central Dispatch at 423-246-9111.